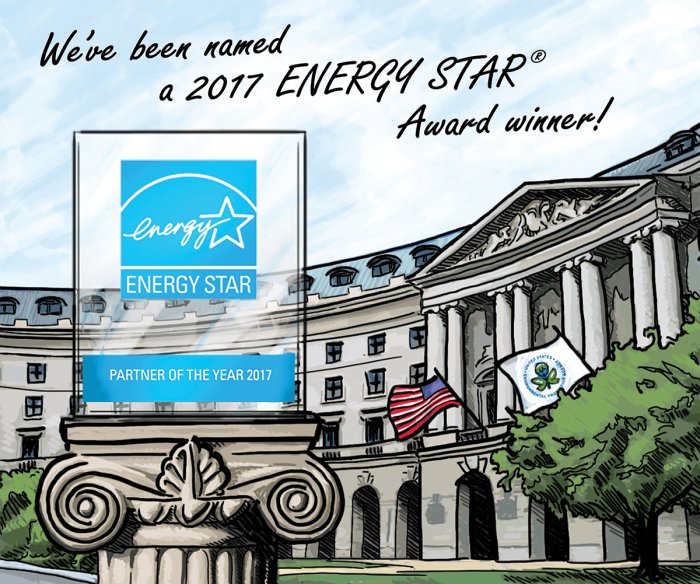 Providence Homes has been named a 2017 ENERGY STAR® Partner of the Year – Sustained Excellence Award winner for continued leadership in protecting our environment through superior energy efficiency achievements. Providence Homes’ accomplishments will be recognized by the U.S. Environmental Protection Agency and the U.S. Department of Energy in Washington, D.C. on April 26, 2017. Providence Homes will be honored for its outstanding efforts to bring energy-efficient homes to market. This is the first year Providence Homes has received the Sustained Excellence Award and third year in a row it has been recognized as a Partner of the Year winner. “We remain committed to being the only local builder in Northeast Florida to have 100% of our homes ENERGY STAR® Certified,” said Sean Junker, President of Providence Homes. “We believe in building well designed homes that are not only more energy efficient, but healthier for your family.” The 2017 Partner of the Year – Sustained Excellence Awards are bestowed upon a diverse set of organizations that have demonstrated continued leadership in energy efficiency. Winners hail from small, family-owned businesses to Fortune 500 organizations – representing energy-efficient products, services, new homes, and buildings in the commercial, industrial, and public sectors. “Demonstrating a strong commitment to building energy-efficient homes, Providence Homes has reaffirmed its reputation as a company that saves the American homebuyer energy and money,” said EPA Administrator Gina McCarthy. “This award recognizes Providence Homes as a leader in building ENERGY STAR® certified homes while reducing our nation’s greenhouse gas emissions that contribute to climate change.” Since becoming an Energy Star partner in 2009, Providence Homes has built more than 1,000 Energy Star Homes helping Jacksonville families save over $1,500,000 on energy bills.